At the end of the day, it's all about creating a space that reflects my client's personality. And I think it does- fun, stylish, and well-traveled. I'm excited to see it come together! Did you have a good 4th? Lindsay was in town and we had a blast. She left yesterday afternoon and I miss her terribly already! 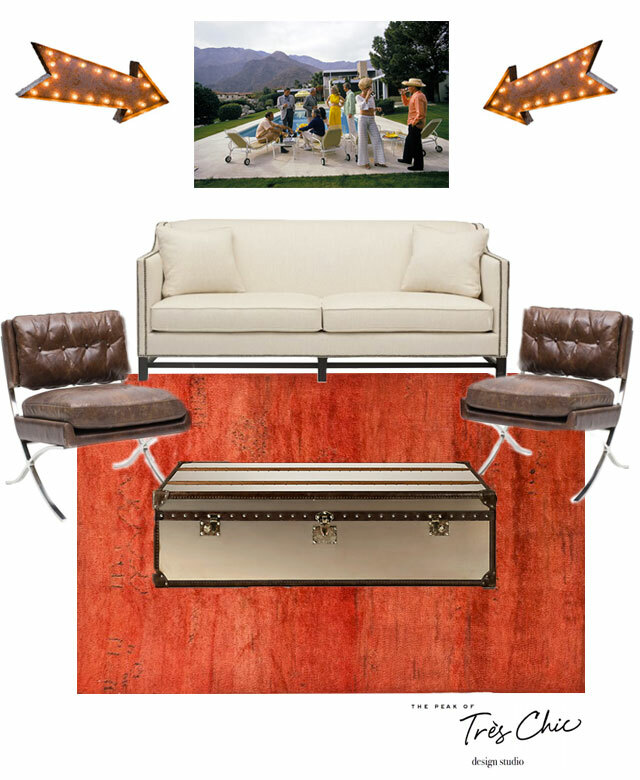 Yes, man cave chic does sound like an oxymoron, but I love the inspiration board! I really like the fact that you're using a white couch instead of a dark couch, and I love the trunk!! What a fun client! I love that first room to death. leather is fabulous here. Your design is awesome! Have a ball. Your client sounds rad. 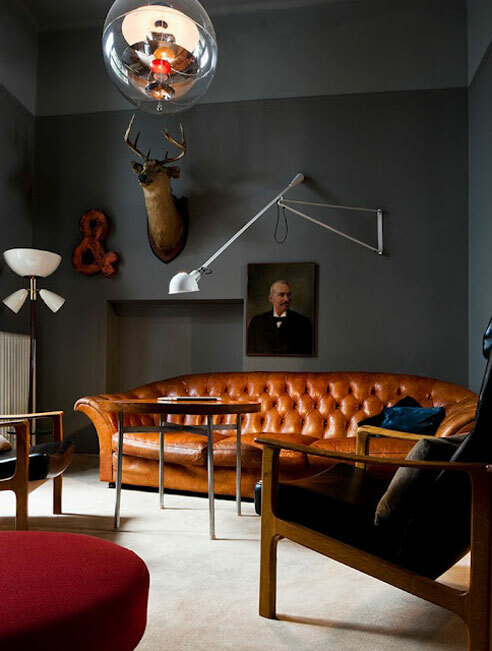 I love the idea of a stylish, non-sports themed man cave! 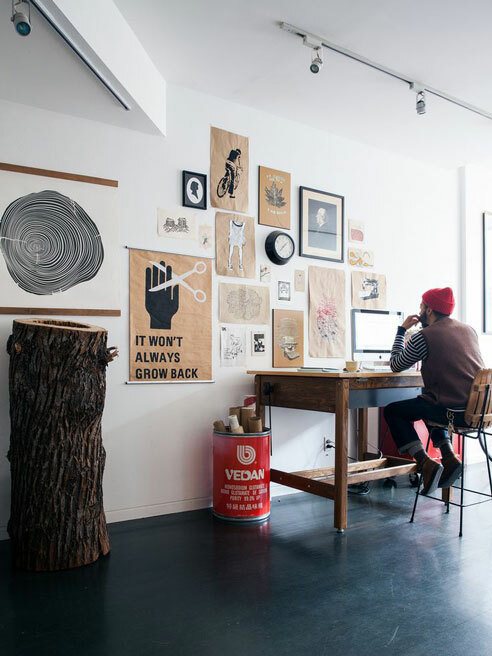 What a chic man space!! I love the photograph and pop of orange!! loving this inspiration and the board you put together! the trunk-as-a-table is amazing! 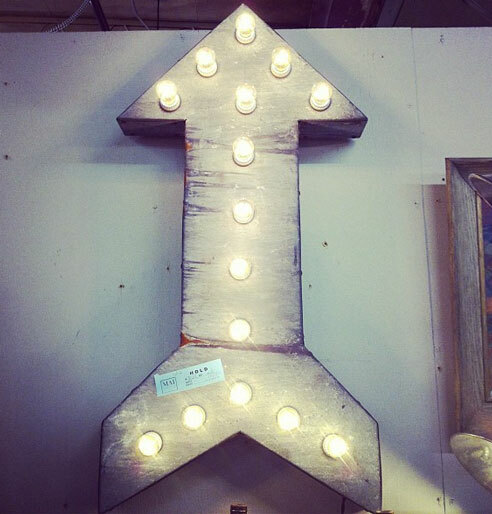 Great inspiration photos, my husband's man cave needs some work! Love your moodboard! 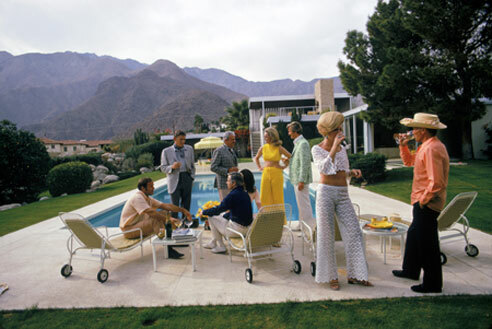 That Slim Aarons print is a must! 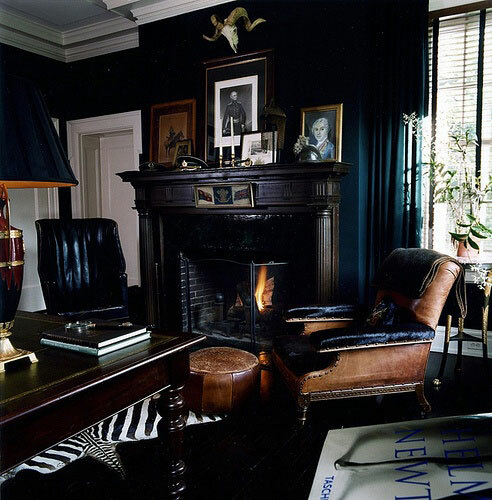 There is something about that combo of glossy black walls and cognac leather furniture that oozes manhood! Love me some Slim Aarons! Nice! Totally over the "Man Cave" can we call it something else already? !